Christina Weed is a California licensed attorney with an LL.M. 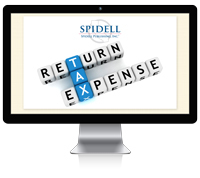 in Taxation from the University of San Diego and a Bachelor’s Degree in Accountancy. She serves as Chair of the Tax Section of the Contra Costa County Bar Association (CCCBA), and she is on the Women’s Section Board for the CCCBA. 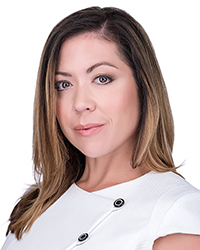 Christina is on the Editorial Board for the Contra Costa Lawyer Magazine, and she is a member of the Contra Costa County Delegation of the Conference of California Bar Associations (CCBA), which works to enact new and proposed legislation in California. Christina has had the following bills sponsored by a California legislator as a result of passing resolutions through the CCBA: SB 1473 (2018), AB 449 (2017), and AB 1450 (2015). Christina is admitted to United States Tax Court, Northern Federal District Court in California, the Ninth Circuit Court of Appeals, and the United States Supreme Court. Christina is a Co-Founder of Weed Law, PC, and a Partner at Mendes Weed, LLP. Christina’s practice focuses on tax law, but includes trusts and estates law and business law. Lisa J. Mendes is a California licensed attorney with a Master’s Degree in Business Administration from Golden Gate University and a Bachelor’s Degree in Spanish Language and Literature. Lisa is a Co-Founder of Weed Law, PC, and a Partner at Mendes Weed, LLP. Weed Law, PC focuses on licensing, business formation, local and state compliance, tax and real estate in the cannabis industry. Mendes Weed, LLP focuses on complex family law litigation, tax law, trusts and estates law and litigation, and business law. Lisa is admitted to The Supreme Court of California and United States Tax Court. Lisa serves on the Board of the Women’s Section of the Contra Costa County Bar Association (CCCBA). Lisa has written multiple articles for the Contra Costa Lawyer Magazine. Lisa is a member of the Contra Costa County Delegation of the Conference of California Bar Associations (CCBA), an organization which proposes and lobbies for new legislation, and changes to legislation, in California.